While I was in New Orleans, my cutie pie stayed with my parents and got to enjoy yet another snow storm. That puppy absolutely LOVES the snow. She'll lay down and try to bury her little nose in the snow and then just look up at you with her big, brown, puppy eyes. It's adorable! 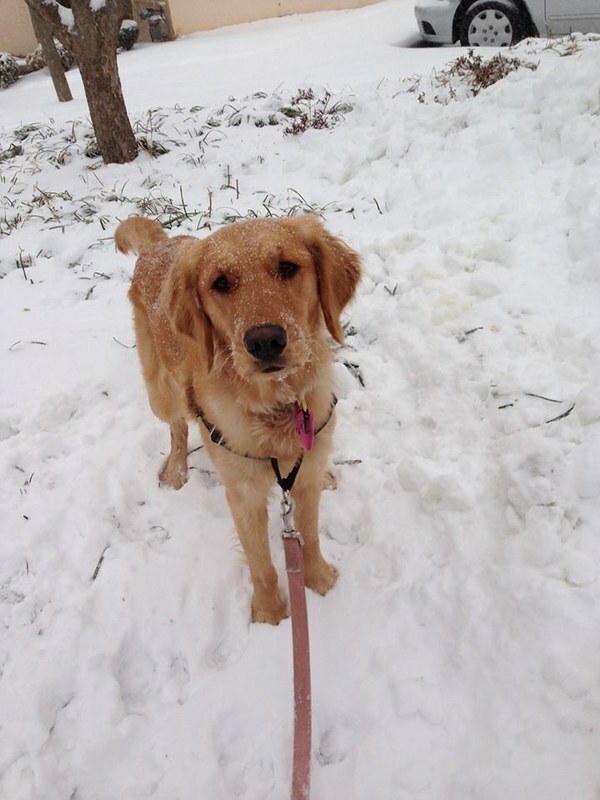 This winter was absolutely great for a snow loving pup! 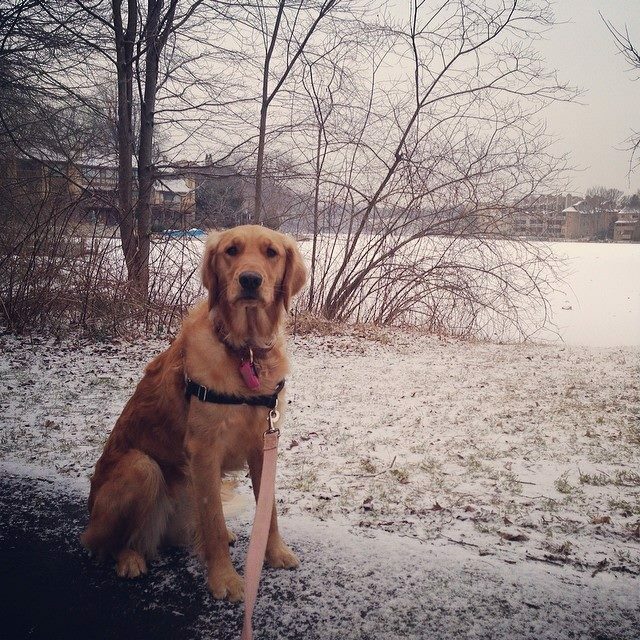 The first time that Penny and I went out in the snow she sniffed it and looked at me, as if to say "what is it? Can I eat it?" And with my approval she sniffed it again, tasted it and jumped around as if saying "I can eat it! This is amazing!" I think the best thing that happened to Penny this winter (and to me too) is that Jenny and Josh bought a place less than a half mile walk from my house! 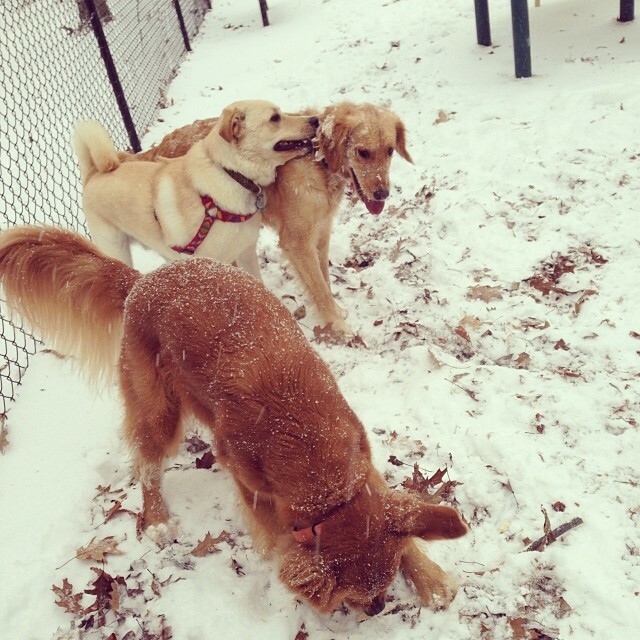 It means that Penny gets to see her best friend, Dagny!! 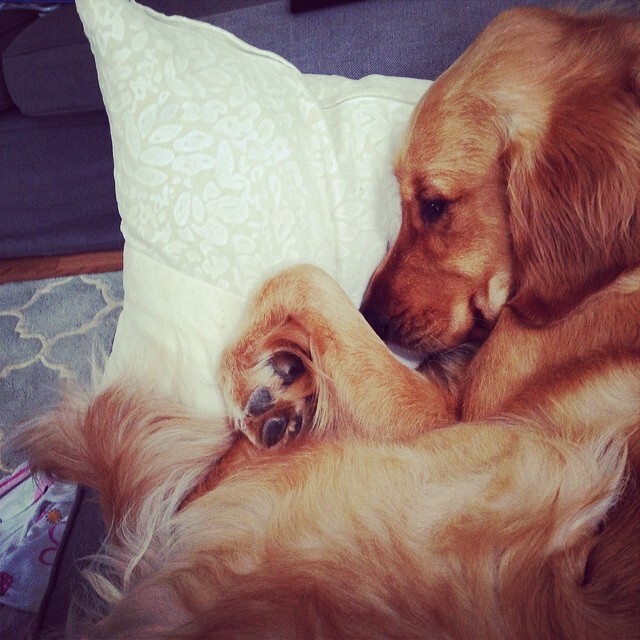 (Penny certainly thinks of Dagny as her best friend, but I think Dagny just tolerates Penny's crazy puppiness!) 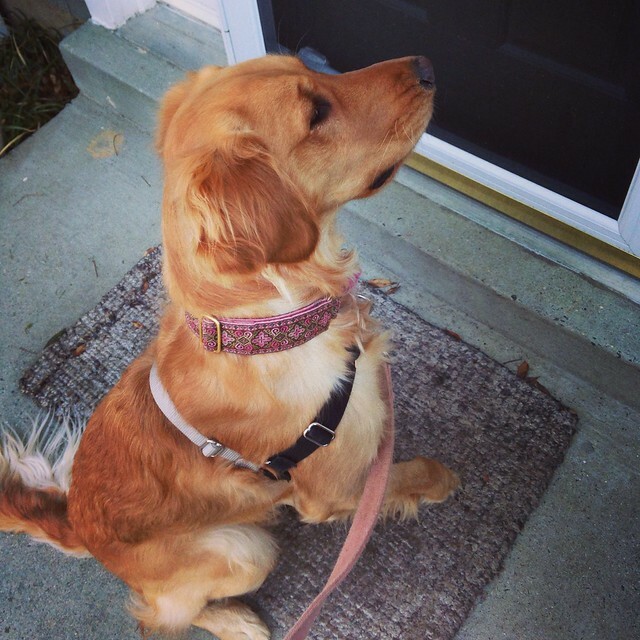 Below is a photo of Penny waiting at the door to go on a walk with Dagny. As bouncy as Penny is sometimes, she's also very chill. I call her my cuddle puppy, because when it's just the two of us at home, she'll lay right next to me and sleep for hours. I don't think Reid believed me until he was alone at my house one day last year and got to experience the cuddle. He was sitting on the couch and she just curled up next to him for a nap. 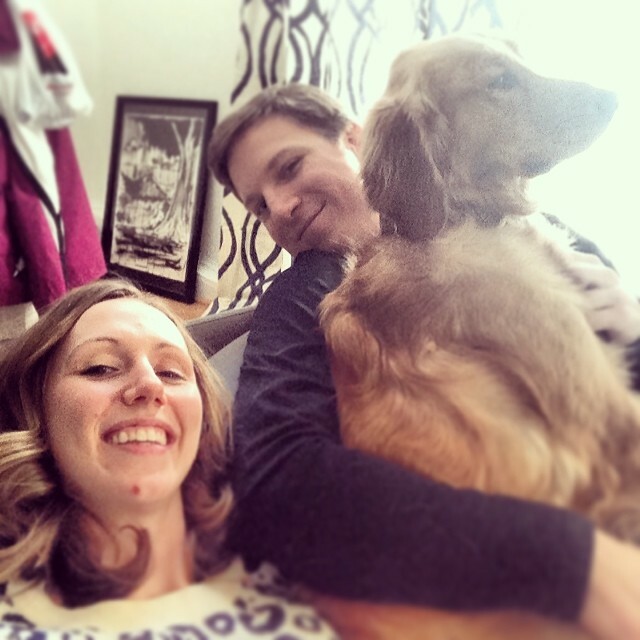 Below you can see a photo of the cuddle puppy all curled up after a hard day of playing and a "family" picture of me, Reid, and Penny.